Marine Basic First Aid and CPR C in Tofino- April 2019 West Coast N.E.S.T. First Aid certification for both marine and fishing industries that meets Transport Canada Requirements. 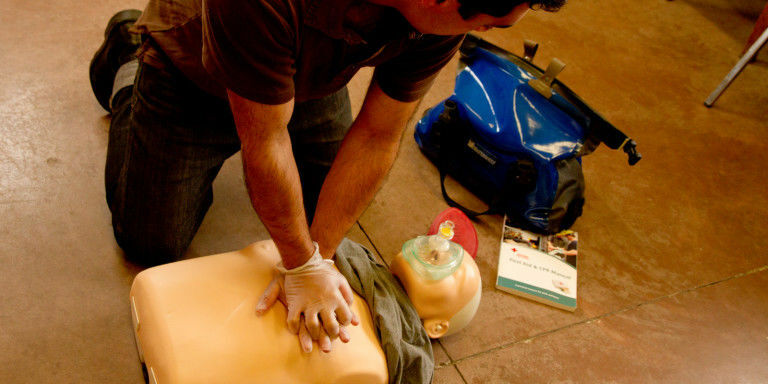 This course covers skills needed to recognize, prevent, and respond to first aid emergencies. Includes CPR C (CPR for adults, children, and infants), CPR with the use of an AED. The course includes information on performing first aid in confined spaces and an emphasis on hypothermia as well as all other first aid skills to provide care for major and minor emergencies covered in the Standard First Aid and CPR C course. Designed for anyone who would like to obtain a rating certificate or endorsement or a Master or Chief Mate limited certification or is the person providing first aid on board a vessel engaged on a near-coastal voyage, class 2, or sheltered waters.